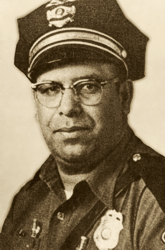 On Friday, April 24, 1964, police officer Lonnie Zamora sighted a landed UFO near Socorro, New Mexico. The sighting became known as the Socorro Landing Incident and is often regarded as one of the best documented, yet most perplexing cases in ufology history. It was one of the investigations that helped persuade astronomer J. Allen Hynek, who was one of the primary investigators for the USAF, that some UFO reports represent an intriguing, unsolved mystery.